Mash the cheese together with the sugar, herbs, and nutmeg. or cylinder. Twist closed and refrigerate for two hours to firm. Sauté the peach slices in the butter. Add the pepper and cinnamon sticks. Stir gently. Add the wine and honey. Simmer until the pan juices are thick and syrupy. 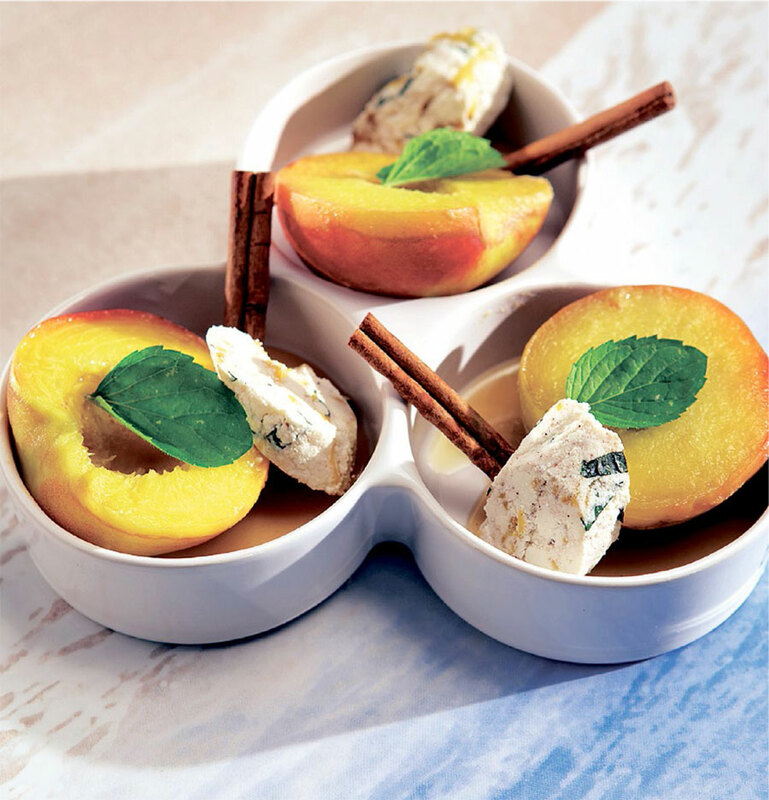 To serve: Cut the cheese into rounds, plate, and top with the syrup-poached peaches.